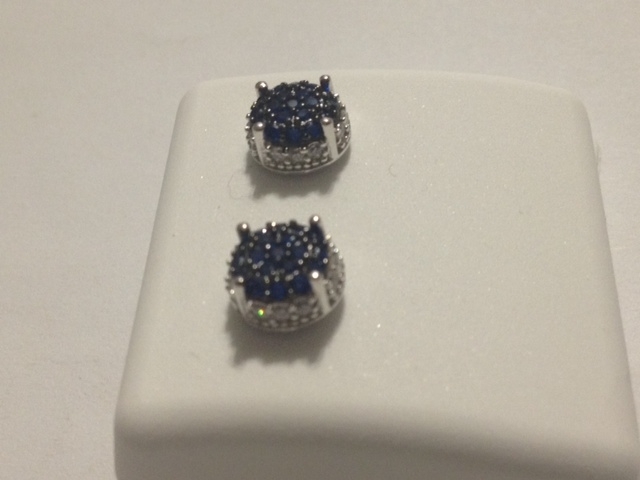 Gorgeous studs screw back earrings. High grade sapphire blue and white cubic zirconia. Fitting for all attires. Unisex earrings.